Serotonin and dopamine are two chemical compounds that are essential to proper brain functioning. They belong to the category of biogenic amines, a group that also includes noradrenaline, acetylcholine, and histamine. These compounds are comprised of amino acids such as tyrosine, tryptophan, and choline, and are of particular interest to the scientific community, since they have an important relationship to the function of various psychoactive and addictive drugs. Serotonin is a neurotransmitter hormone that is occurs naturally in the brain of humans, and it has also been identified in certain animals' digestive tracts. The compound is also found in several different varieties of vegetables and fruits. Dopamine for its part is a neurotransmitter compound that is also found in the brains of humans, as well as several animals. Dopamine has many of its own functions as well, with the more significant ones having to do with its role in the proper functioning of the central nervous system. 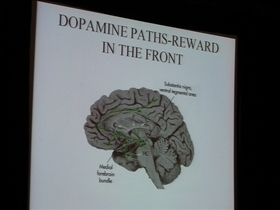 Another important role of dopamine relates to the motivation and reward system of the human brain. Since serotonin is so essential to role of mood regulation, it is a fairly common ingredient in drugs of the antidepressant variety. In fact, it is a key ingredient in a category of drugs known as monoamine oxidase inhibitors, which essentially break down neurotransmitters and allow them to ease certain symptoms of depression. It must be said however that many of these medications can cause severe side effects, and they have also been known to react unfavorably with other medications. 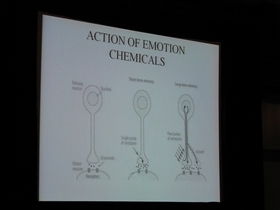 Dopamine typically cannot be administered to humans in its natural form, since they are unable to cross the barrier between the blood and the brain. As an alternative, doctors will often treat patients with precursors that cause the brain to synthesize the compound by itself. That being said, dopamine is sometimes administered directly into the bloodstream, in order to treat conditions related to blood pressure and kidney function. Which one causes you to feel happier? Bob, if you always struggled with addiction and noticed that SSRI is not helping there, I recommend (I am not a doctor, but I read a lot) that you read about Attention Deficit. People struggle with addiction because they are trying to help their Attention Deficit symptoms without realizing it...little by little they become addicts. If you have you noticed that you procrastinate, and/or cannot prioritize, nor pay enough attention to details, or unable to focus. Do read about Attention Deficit. And if you have it, your psychiatrist may give you stimulants that will improve your symptoms and you may stop the addiction, since the pill will give you the relief that you seek from other bad stuff sources! This seemed to be bias in favor of serotonin for some reason. There was not as much direct info about dopamine. This site seems to be in favor of pushing SSRI drugs instead of drugs that enhance the effects of dopamine.